I refuse to die with the music still in me. Life is way too short not to live with passion and fire. My dream since I was twenty three years old was to have my own fitness business. After thirty years that dream has finally come true. I took that leap of faith about two years ago when I decided to leave the comfort and security of a six figure sales job that was stealing my soul. I lived in quiet desperation every day feeling like a square peg trying to fit into a round hole. It just wouldn’t fit. How did I go from living in quiet desperation to living my purpose? The first step was I had to believe that God had more in store for me. That He wanted to use my passion for health and fitness to help people get stronger, healthier and more physically fit. God called me to help people build their physical strength as a way to build their spiritual strength. So many people I work with have lost sight that they are created in God’s image and they stop seeing themselves the way God sees them. Once I started to see myself the way God sees me is when I had the courage to take a chance and start my own fitness ministry. I decided the risk of failing was worth the chance of getting out of quiet desperation and back to feeling fully alive. The second step I took was I made a commitment to leave my job and start my own business. I circled a date on my calendar of when I was going to quit and I made it happen. I worked my tail off to pad my savings account as much as possible so I had a year’s cushion as I knew it would take time to get up and running. That savings account has been greatly depleted, but I am happy to report that I am making a profit after one year of being full time in my fitness business. The third step to pushing my limitations was courage. I was afraid of leaving the comfort and security of a high paying job, company car and health insurance. Those are all great things, but not worth losing my soul over. The definition of courage is being afraid and doing it anyways. Well you know what, if you are living in quiet desperation and don’t feel fully alive in your life because you aren’t living with passion and fire, you can push your limitations too. We need more people who are fully alive. Don’t be the person who goes to your grave with the music still in you. Take a chance. Believe in yourself. Start to see yourself the way God sees you. Make the commitment to make a radical change in your life. And most importantly, have the courage to take action. One thing I have been guilty in my prayer life is praying for something, but having doubt that God will answer my prayer. My mind and heart have been out of alignment. I have been out of coherence. Thinking one thing and feeling another, or another words, doubting God’s promises. Those are some very powerful words. It comes down to taking a leap of faith. Expecting the unexpected. To surrender, trust and let go of how and when your prayer will be answered, but truly believing in our heart that God will answer our prayers. That doesn’t mean that God is our genie in a bottle. Our prayers still need to line up with His will. We need to pray with God’s interest in mind and not our own selfish desires. My one word for 2019 is abundance. One area of abundance I am praying for is financial freedom. Not out of selfish desires, but as a way to provide for myself, my family and also so I can be a generous giver. I am expecting God to act on his promise. I took a leap of faith about 18 months ago leaving a lucrative career in the pharmaceutical industry to pursue my fitness ministry full time. I am trusting in God’s provision that he will provide for financial abundance. That I can do what I love, serve others in my strength and have financial freedom. It is up to me to do the work and believe. 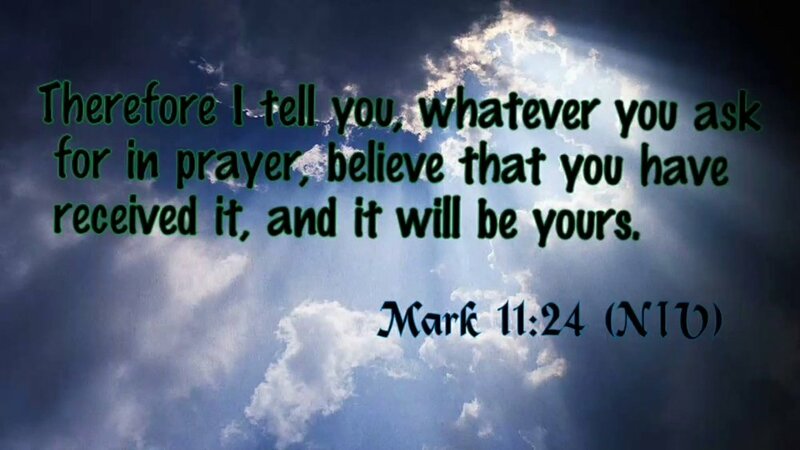 To pray believing that God will provide. To get rid of any doubt or feelings of lack financially. I am giving thanks as it has already happened. Trusting and surrendering is the biggest obstacle for most of us to overcome. When we decide that God is for us and not against us, nothing can stop us. When our will is in line with God’s will we can do amazing things for His glory. Believe that you have received it and it will be yours. Go for it, take that leap of faith. Live your life from a place of gratitude and see the miracles that God can do in your life. Is there ever a word that keeps showing up in your life over and over again? It’s that tap on the shoulder, that voice in your head, that desire in your heart. The word that keeps getting shown to me is community. Which is kind of ironic as I have become a master of isolation over the course of a life time. Isolation is my default button when I feel overwhelmed and don’t want to deal with the challenges in life. What God is showing me is heart transformation happens in community. Of course we need our alone time with God, I have been doing that consistently for over eight years now. What I am learning is the importance of community. A place to be authentic and vulnerable. Without that component of non-judgmental accountability it will be very challenging to become the person God created us to be. This played out recently on a personal level with me last week. I lift weights once a week with a great friend. Our workouts are as much about spiritual transformation as they are about physical transformation. We have a relationship where we can be real and vulnerable with each other. He spoke the truth into me and encouraged me based on some of the struggles I have shared with him over the past year. He showed me the love of Christ by speaking words of encouragement into my heart. Of course I have taken this battle to God many times over, but there is something about sharing our battle with other believers that brings it home. What I have discovered through being in community is so many of us our facing the same battles. Why go it alone? God recently put this strong desire on my heart to create a community for men where we can be completely real and vulnerable. To me this is church. It’s men showing brotherly love to each other. Learning how to become more like Christ through scripture, prayer and shared struggles and victories. It’s having our hearts transformed in community. 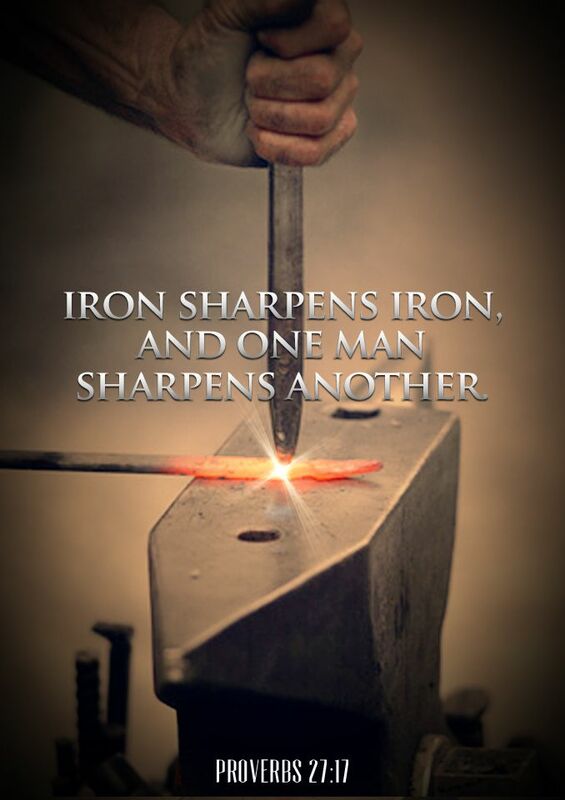 This community is called Spiritual Warriors Unite that meets once a month at the gym I train at called The Body, which stands for the Body of Christ. How cool is that? Romans 12:4-5 says, “For just as each of us has one body with many members, and these members do not all have the same function, so in Christ we, though many, form one body, and each member belongs to all the others. We are developing a community or church at The Body that is caring for the Body of Christ. After all the church is people. It’s not a building or an institution. It’s quite simply followers of Jesus serving and caring for others. Heart transformation happens in community, but so many people isolate themselves from community when they are hurting, depressed, struggling with sin and addiction or feel unworthy. I totally get that as isolation has been my default for many years of my life. I have learned the hard way that things never turn out good when we go into isolation mode. Here are three things I have learned to do to get out of isolation and into community for a heart transformation. This has been the biggest game changer in my life. I have two guys in my life I can share my heart and soul with. I know I can tell them anything and I will not be judged. I can share my heart, my struggles and my dark side knowing that they will love me unconditionally. This is a rare thing especially for guys. We talk about real matters of the heart. We don’t try to fix each other. We listen to each other, showing compassion and caring for one another. If you don’t have somebody like this in your life you are missing that horizontal component of life change. Pray and ask God to bring a brother in Christ into your life that can speak the words of truth and love into your life. Being in the Word of God shoulder to shoulder with other brothers is transformative. I recently joined a men’s Bible study at a local church. At first I was hesitant to do so because I wanted a morning where I didn’t have to be somewhere at a certain time early in the morning. I also love my quiet time alone (there is that isolation piece shining through.) I made myself go and it has been one of the best decisions I have made. The pastor is a masterful teacher of the Word. The insights I have gained in a few short weeks has already transformed my heart. I have also developed friendships with other men I never would have had the chance to know on a personal level. Take a chance and join a men’s Bible study. It will transform you heart. As followers of Jesus we are called to love and serve others. We are not meant to keep our faith to ourselves. We are called to disciple other men. This will transform our heart as well as the person we are mentoring. When we know we are making a difference in someone else’s life it changes us on the inside as well. One of the best things we can do when we are hurting and suffering is to use our pain to do good. That has been a basic principle in my life over the past eight years. It’s amazing how God uses the suffering in our life to make a difference in other people’s lives. God has used my pain of divorce to mentor and counsel other people who have gone and are going through the trials of divorce. He is using my story to help others to see that there is life after divorce. “And we know that in all things God works for the good of those who love him, who have been called according to his purpose.” Romans 8:28. Isolation only leads to a dark and lonely place full of depression, sadness and despair. Being in community leads to heart transformation, peace and love. Find another guy you trust, join a men’s Bible study and be a mentor to another person and you will see heart transformation at its finest. Heart transformation happens in community. Don’t go it alone. Take that first step and reach out to me or another brother. It takes courage and strength to put yourself out there and to create a new possibility for yourself. Choose life not despair. How different would our life be if we did what made us feel truly alive? How different would our world be if we were all living out our true purpose? I would venture to guess most of us aren’t functioning in life with our soul on fire. We are bored, complacent and I would guess maybe even a little angry. When we aren’t fulfilled it is easy for anger to set in. Believe me, I get it, as I have experienced all of those emotions. When I share my faith journey I often get the comment of how inspiring it is. I quit a lucrative industry of pharmaceutical sales to pursue my purpose of starting a fitness ministry in a new city. My hope is that it inspires you to do what makes you feel fully alive. To pursue your purpose in life so you can have that feeling of your soul on fire. 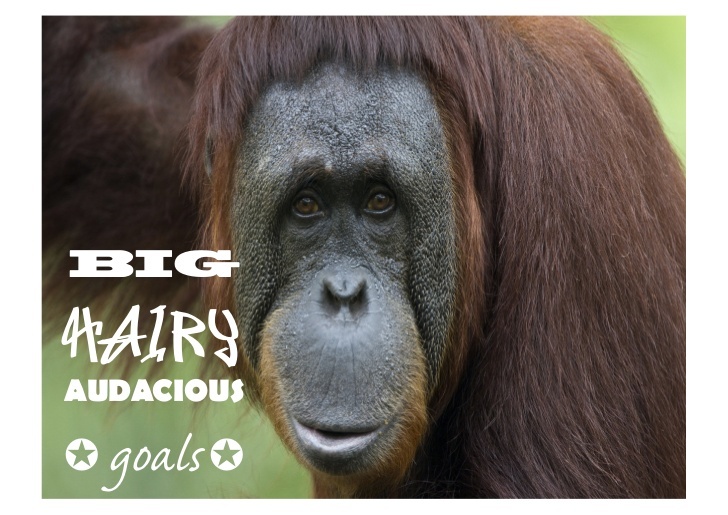 When I work with men in my fitness ministry one of the ways I help them get their passion back is I challenge them to set a BHAG or big hairy audacious goal as coined by Jim Collins. This BHAG is centered on a physical fitness or physical adventure goal. I ask them to choose a goal that scares them and excites them at the same time. It isn’t about accomplishing the physical adventure or goal. It’s what comes with the accomplishment. It’s mainly about regaining our self-esteem and confidence. As men, we often times get beat up in this world. We let the world take our power away or more than likely we give our power away. Along with giving our power away our self-esteem goes out the window. We end up lost, in isolation and living in quiet desperation. Our world needs men to step up in a big way. As a Spiritual Warrior Coach I am asking men to step out of their comfort zone physically so they can be at their best mentally, emotionally and spiritually so we can be the leaders we are called to be. My mission is to build a social movement of men, who are reclaiming their inner warrior, through fitness challenges and physical adventure, for the betterment of humanity. We are wired for physical adventure, not sitting on the couch living our lives out vicariously through other men playing sports. Not that there is anything wrong with watching sports, but when we deny ourselves our own adventure and feeling of being fully alive is when we run into trouble. 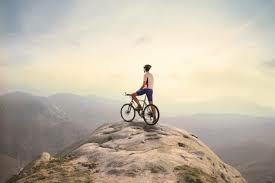 I want to challenge you to come up with your own BHAG pertaining to physical fitness and adventure. What would that be for you? What would challenge you and make you lean into your edge? My BHAG for the summer was a series of bicycle adventures which culminated in a 120 mile bike ride over three daunting mountain passes. I was out of my comfort zone, but also living life to the full. You will be amazed how working towards a challenging physical goal will impact every area of your life. Don’t go on this adventure alone. I help men get into peak physical condition, develop mental toughness and grow spiritually. If you are struggling with purpose and don’t feel truly alive please contact me at troy@troyismir.com to explore the possibilities of living a life that makes you feel fully alive by living a life of adventure. It’s Monday morning at 5:15am. After four bouts with the snooze alarm I was finally able to peel myself out of bed. I am not a typical hit the snooze button kind of a guy, but this morning all I could do was muster up enough strength to roll over and hit the snooze button and hit it again and again and again. Can you relate to this? That feeling of extreme fatigue. I was talking to one of my clients this week and he said he was feeling “fatiguey” that particular morning. I think he should trademark that word as I am hearing more and more people suffering from “fatiguey”. I thought Monday was a fluke as I survived the day, but I felt even more exhausted on Tuesday and Wednesday. As a trainer and coach a big part of my job is encouraging and inspiring people to be at their best. Let me tell you it is next to impossible with the level of exhaustion I was feeling. On July 14th I did a 120 mile bike ride with over 10,000 feet of climbing and on August 4th I did an 80 mile bike ride with 6500 feet of climbing. There were three weeks between the two events, but do you know how many days of rest and recovery I took between those two rides? ZERO! The day after both of those rides I was exhausted. I was tired and wired. I was so tired, but I didn’t sleep well. So as any good American would do I fueled myself with caffeine. And true to my form I worked out first thing the next morning. Push-ups, core work, pull-ups. My story that I tell myself is that I always feel better after a workout. Which is true when I am in the moment and right after, but this past week my body shut down. Meaning I had no energy what so ever. I was on pure survival mode. Just make it through the day. No zest for life, no passion for my work. Just make it through the day and crash on the couch the minute I got home. I have always prided myself with the mantra no days off. That mantra has caught up with me this week and I have come to the realization that this mantra has to change to rest and recovery. At 51 years of age I pride myself that I am still able to train with extreme intensity and love to show the 20 somethings how it’s done in the gym. It’s time to kick pride out the window and listen to my body. What I have been shown this week is if I don’t rest and recover I am no good to anyone. My clients, my family, my community and most importantly doing God’s work. I failed myself and everyone else this week by not allowing my body to rest and recover. In listening to people and my clients one of the most common themes I hear are I am so tired. Exhausted is a word I here often or the new word fatiguey. How many of us are walking zombies? Honestly, I didn’t even feel like a human being this week. Extreme brain fog, severe allergies and lethargy were prevalent in my life. What I believe God is showing me is that I need to rest my body. At least once a week, but probably more like twice a week. It doesn’t mean being sedentary, but do things that are more restorative such as going for an easy walk or some light yoga. What do you need to do to restore and rest? Maybe it’s learn to say no so you aren’t so overscheduled and can have a relaxing evening at home and get to bed at a decent hour. Maybe it’s to actually take a day of rest on the Sabbath and have a complete day of restoration. It might be to build in some light movement instead of heavy intense exercise. Whatever it is for you, listen to your body. Allow your body time to be restored. Matthew 11:28 says, “Come to me, all you who are weary and burdened, and I will give you rest.” Find rest in God. Take time to be still for that is the time we can truly draw closer to God. It’s in those moments where we will find rest for our soul. Imagine a life of energy, vitality and optimal health. That is what I am going for. It will be a shift in perspective for me, but I know that the only way I can do the work that God has called me to do is if I build in rest and restoration into my life. Please join me in that possibility of slowing down so we can be more effective, energetic and joyful in our day to day life. If we don’t have our health what do we have? Sadly many of us neglect our physical body. We take for granted this amazing God given vessel we are given. We abuse it with poor nutrition, lack of exercise, limited sleep and chronic stress. We are over-worked, stressed and exhausted and our body takes the brunt of this go, go, go mentality. I would like to propose a new possibility for our health and taking care of our body. One where we treat our body as precious, because it is. It’s the only one we are going to get in this life time, so treat it with tender loving care. What if we made our physical health one of our top priorities in our life? What if we made it a non-negotiable to take care of our health and fitness by moving more, eating better, sleeping more and managing stress? How would your life be different? How would you feel? Imagine a life full of energy. Imagine a life where you look, feel and perform better. It’s right at your fingertips with a few small changes. Everything starts with making a decision. A decision to get healthy. Once you decide then it’s just a matter of having an effective strategy in place. But nothing happens until you decide to act. Often times the hardest part is just getting started. It’s taking that first step. Fear of failure is the thing that most often holds us back. But there is no such thing as failure if you have a growth mindset, meaning that you can’t fail, you can only learn. So be bold and courageous and make that commitment to get healthy. The number one excuse people make for not taking care of themselves is lack of time. What I have learned is that it’s not a time management issue it’s a priority management issue. We make time for what’s important and what is more important than our health? Exercise and eating healthy has been a part of my life as long as I can remember. I find time to do some level of physical exercise almost daily. I make an appointment with myself every day to take care of my body. I know I am a much better person physically, mentally and spiritually because I practice extreme self-care daily. I know the better I take care of myself, the better I will be able to give to others. Carving time out for ourselves isn’t selfish at all. In fact being healthy and full of energy is one of the best things we can do for ourselves and others. When you make it more than about a number on a scale or the way you look, health and fitness takes on a completely different meaning. One of my clients who has struggled with his health and energy for many years has completely transformed his perspective on why he exercises. He said it has changed his relationship with his family. They now go do outdoor activities such as hiking, bike riding or kayaking on a regular basis. Before he didn’t have the energy to do any of those things. His renewed health and vitality is having an impact on his family. Focus on the big picture and all of a sudden exercise and eating healthy takes on a whole new meaning. Make a commitment to yourself that you are going to practice extreme self-care. Make it a top priority in your life and realize it will have a bigger impact on the people around you then you think. Take a chance on yourself and move towards getting in the best shape of your life.